Being three-time winner of Money Magazines “100 Best Places to Live” award, Lake Mary is a fantastic place to live, with a little something for everyone. Lake Mary is located in Seminole County, just off of Interstate 4 at Exit 98. It is 18 miles north of Orlando. Lake Mary is part of the Seminole County School District, which is well-known for being a quality education system. For a complete list of Lake Mary schools, click here. For information individual school rankings, click here. 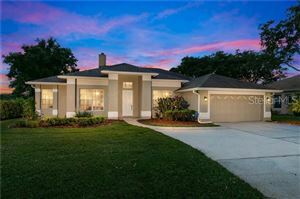 Lake Mary is conveniently located near Seminole Towne Center. There you can find major retail store such as Dillard’s, JC Penny’s, Macy’s, and Sears. For a complete list of all the stores and restaurants, visit the Seminole Towne Center website. Situated on Lake Mary Blvd in between Interstate 4 and Rinehart Rd, the Shoppes of Lake Mary are a great place to continue your shopping experience. Stores include The Home Depot, Target, Gander Mountain, and Play It Again Sports, as well as many other retailers and restaurants. Lake Mary offers a wide variety recreational amenities and activities, everything from the scenic reflecting pond at Central Park at City Hall, softball leagues, basketball courts, a skate park, as well as activities for the kids. If golfing is your thing, then you’re in luck! Lake Mary is home to four golf courses: Magnolia Plantation Golf Club, Timacuan Golf Club, Mayfair Country Club, and Heathrow Country Club. Enjoy the outdoors at any of the fantastic nearby parks, which include Wekiwa Springs State Park, Big Tree Park, Soldiers Creek Park, and Seminole State Forest. Take some time this weekend and head to the beach. You’re not that far away. 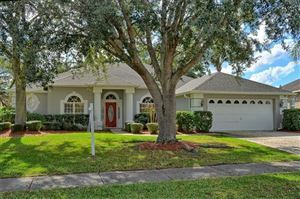 Lake Mary is an easy drive to New Smyrna Beach, Daytona Beach, Cape Canaveral, and Clear Water Beach. 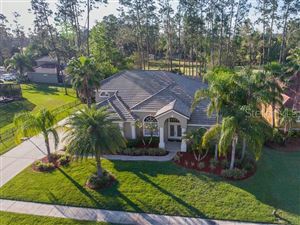 Lake Mary is a convenient 15 minutes from Orlando-Sanford International Airport, and only 35 minutes from Orlando International Airport. When the unexpected happens, have peace of mind that you are only 20 minutes from Central Florida Regional Hospital. Lake Mary is home to several community organizations: The Rotary Club, Seminole County Regional Chamber of Commerce, and Seniors Intervention Group. Lake Mary was incorporated in August 7, 1973, although the community existed since the 1800’s. Until the late 1980’s and early 1990’s, it was largely an agricultural community. As Disney began to grow and expand, so did Lake Mary until it became the place it is today. To find out more, click here.